Comic book fatigue is real, but that weariness seemed to pass me by completely. Even the worst Marvel film is better than the best DC film, and both are so extremely different than these types of films that came out even a decade ago that you can find things to appreciate in their approach. Some are obviously learning from their mistakes faster than others, but then there are films like “Venom” that poison the well and threaten the future of other great stories being told. The film opens with a spaceship cruising towards Earth in the vacuum of space. As it gets closer to the planet, it loses control and crash-lands in a field, releasing a menacing symbiote into the world. This is the perfect personification of this entire project. It feels like it was created in a space-like vacuum, devoid of any information or points of reference for comic book films made in the last 20 years. It enters the film atmosphere like an anachronism, something from a bygone era where these types of films were young, dumb, and full of fun. 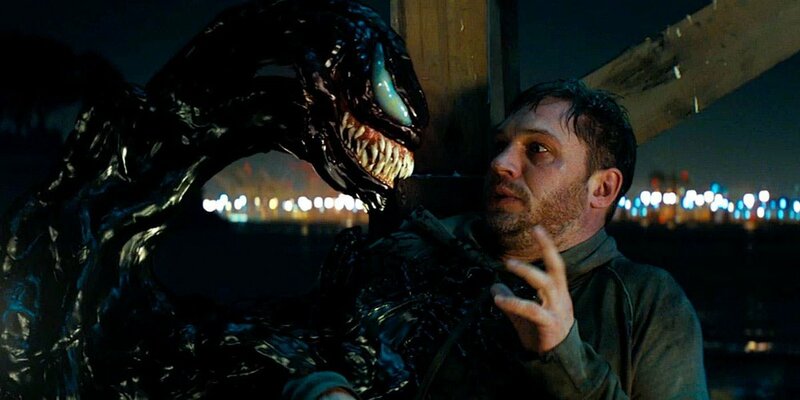 “Venom” would have been acceptable schlock 20 years ago, but now it is nothing more than a menacing franchise symbiote of a film akin to a fanboy parasite.